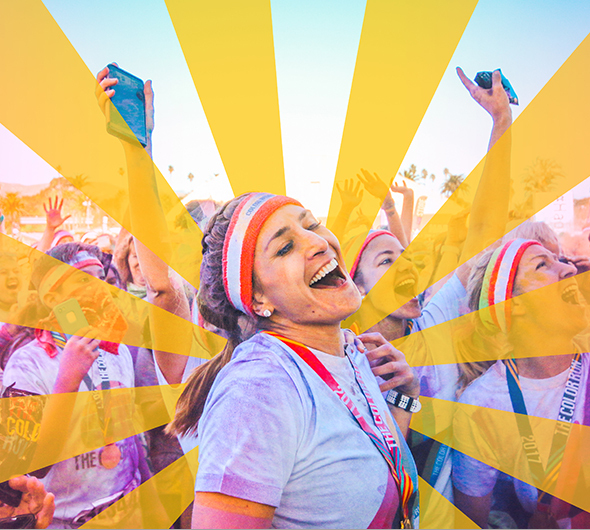 Our mission at The Color Run is to bring people together and make the world a happier, healthier place. The Color Run is a five-kilometer, untimed event. At each kilometer mark, Color Runners are doused from head to toe in a different colored powder. Participants wear white at the starting line and finish the race plastered in color. 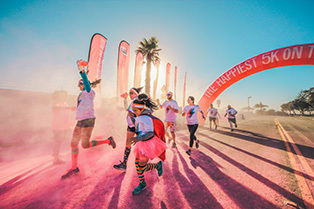 Once the race is over, the fun continues at the Finish Festival, a larger-than-life party equipped with music, dancing, photo ops, activity booths, vendors, and more massive color throws., which create millions of vivid color combinations. Trust us, this is the best post-5K party on the planet! 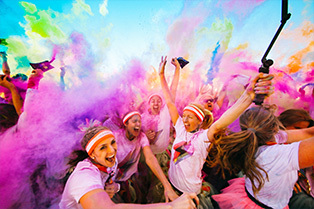 Color Runners vary in demographics and reasons for running. With no winners or official times, The Color Run caters to everyone—first time runners to seasoned athletes. More than half of our participants are first-time 5K runners. The Color Run is proud to be a catalyst that inspires our participants to live a more active lifestyle, on top of having fun! To date, The Color Run has donated $5 million to charity. As a for-profit event management company, we love getting the opportunity to partner with a local charity partner in every community we visit and help shine a light on their amazing work. We have worked with more than 80 local and national charities since 2012. To learn more about how The Color Run works with charities, visit our Charity Page. Interested in nominating your charity for the event in your community? YES! 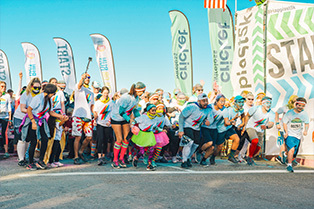 Founded in 2011, The Color Run was the world’s first COLOR 5K and COLOR DASH event. By creating a race that’s more about the memories you make than your mile-per-minute, we make running accessible to everyone, no matter their experience level or ability.